Defending national champion Stanford lost a Hermann Trophy winner but still has a member of the U.S. women's national team. South Carolina lost its all-time leading goal scorer but still has a player as good as any in the country at preventing the other team from scoring. 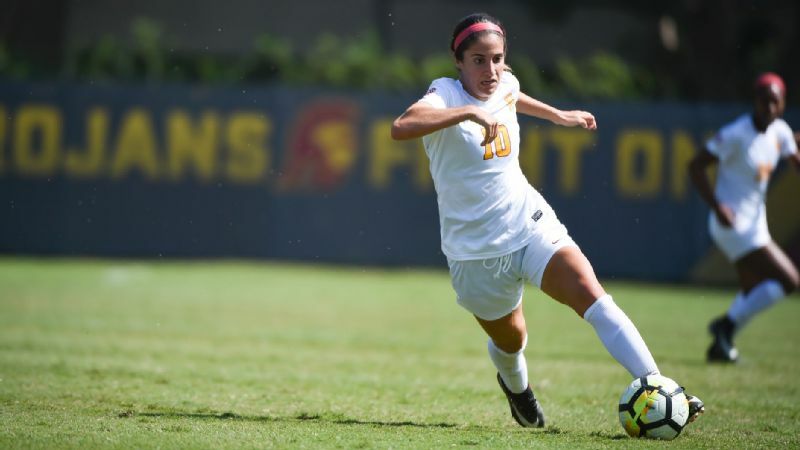 From international veterans to homegrown talent, here are 10 players to keep an eye on this season in NCAA women's soccer and for years to come. 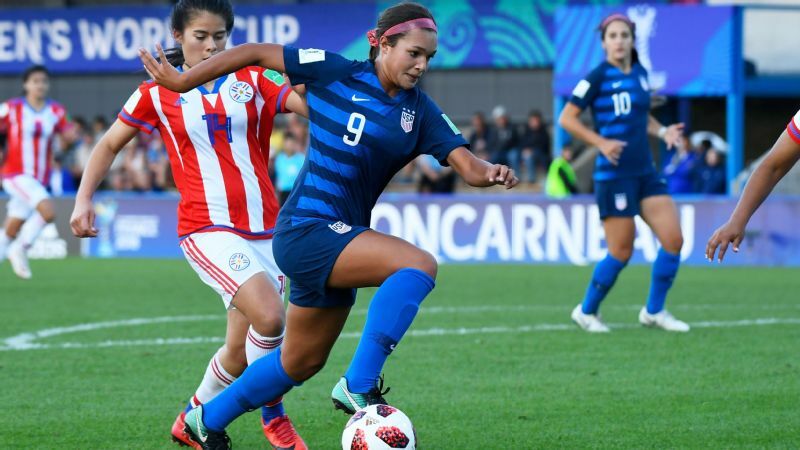 Admittedly amidst more consequential turmoil off the field in her home country, Castellanos and Venezuela missed out this past spring on a chance to qualify for the 2019 Women's World Cup. But the emerging star with the massive social-media presence still has the NCAA platform. 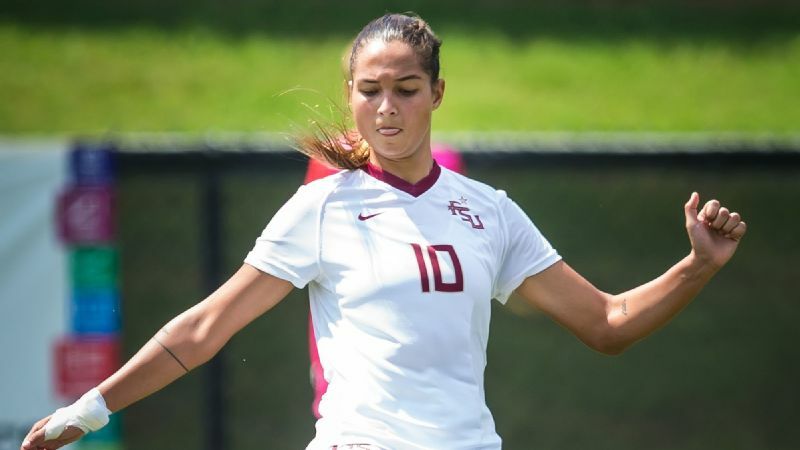 The junior led major-conference players with 19 goals a season ago as a sophomore and should have a more familiarly potent -- by Florida State standards -- supporting cast this season with the additions of U.S. youth international Jaelin Howell and Chinese youth international Yujie Zhao. You thought we were done with Stanford players who exhibit professional poise at the college level? Andi Sullivan has moved on to the NWSL, but Tierna Davidson may be starting World Cup games in France before exhausting her eligibility in Palo Alto. Since the Cardinal won their title last fall, Davidson has emerged as a frequent starter for the senior U.S. national team. 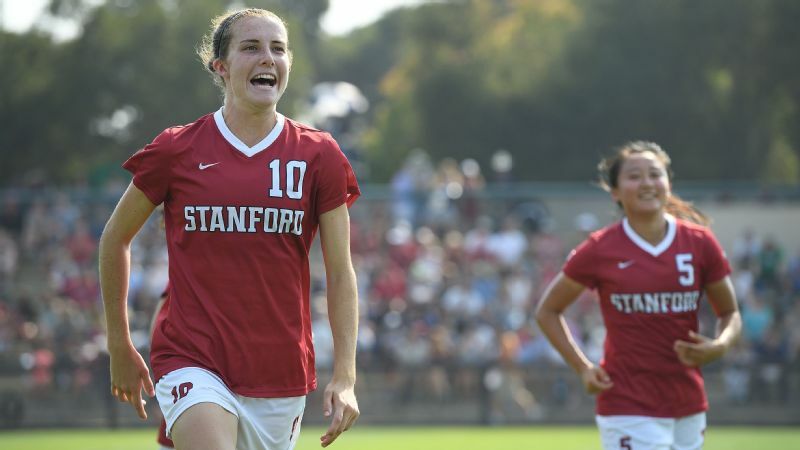 As a center back, assuming Stanford keeps the junior as cornerstone of its back line, despite experience as an outside back and midfielder, she won't always produce Twitter highlights. But she will likely be the best player in college soccer when she's not busy playing for that other team. The Pac-12 has the two most-talented teams in the country in Stanford and UCLA. If it has a third team capable of keeping them from running away with things, DeMelo will be the biggest reason why. USC is loaded with returning and incoming talent and some high-profile transfers. But DeMelo, who has a lot of Rose Lavelle in her game as a dynamic attacking midfielder who can create chances or finish them, is the player to highlight. The U.S. U-20 international was a first-team all-conference selection as a freshman a season ago. Her season debut will be delayed by England's ongoing run in the U-20 World Cup, but it's clear that the junior defender is worth the wait. 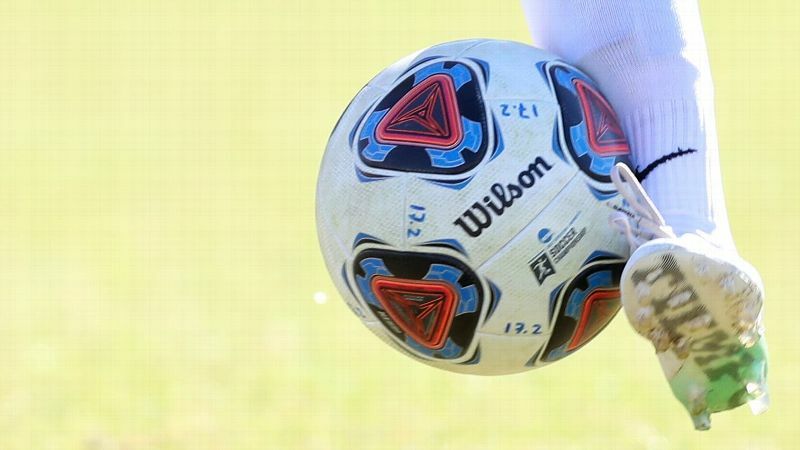 South Carolina has its work cut out if it is to prove, at least in the short term, that last year's College Cup debut was the beginning of something and not the culmination of an era. Fisk is a good place to start searching for that answer. 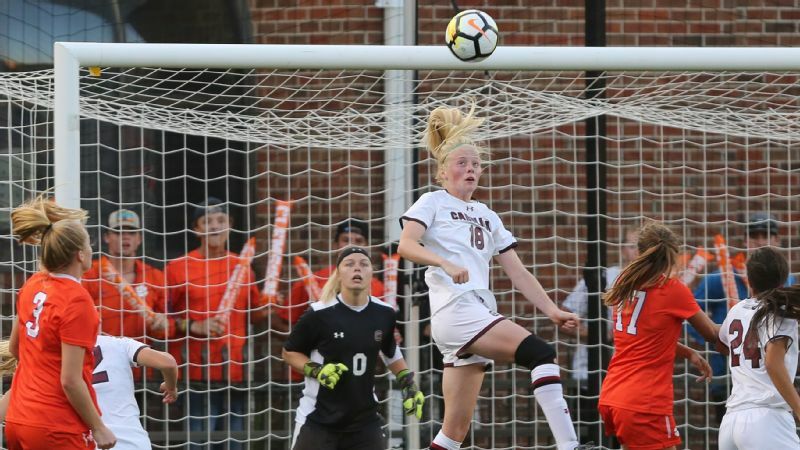 The SEC Defender of the Year is athletic, technically sound, tough and even has a nose for goal -- it was her finish that put South Carolina ahead to stay in its NCAA tournament quarterfinal a year ago. Women's college soccer is the rare sport where it can feel a team is being continually punished for having someone who is too good. So, yes, a year after having Fleming for 23 of 25 games and not coincidentally reaching the national title game, UCLA will revert to making do with a time-share arrangement as the Canadian international attempts to help her country qualify for the World Cup (as will be the case for Stanford and Tierna Davidson). But any Fleming is better than no Fleming. The midfield maestro is as polished as any player in the college game. The junior has 17 goals and 13 assists in two seasons, and even those totals don't do her influence justice. There is a distinctly Pac-12 flavor to this list -- UCLA and Stanford offer at least 10 compelling choices all on their own. But as someone who scored 15 goals as a forward for the Bruins a season ago and then made her senior national team debut for the United States as a defender earlier this year, Mace more than merits inclusion. 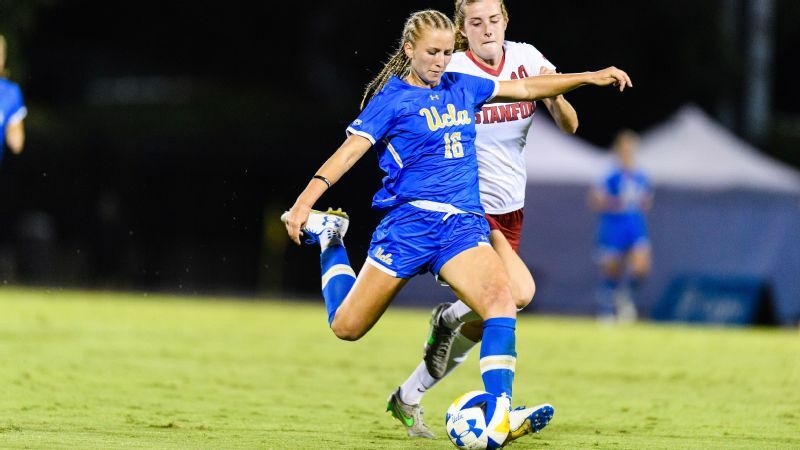 It appears her future is on the back line, where she played with distinction for UCLA before last season. But with no ready-made replacement up top, the senior may get a chance to score some more goals in the present. 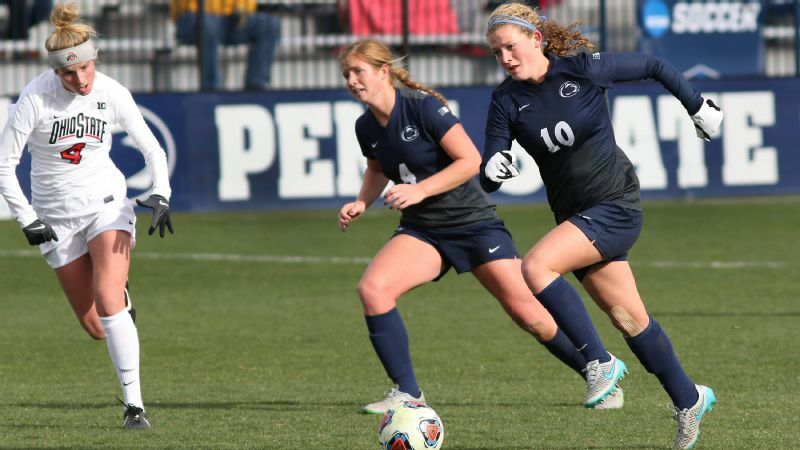 Ogle and Kaleigh Riehl are the only remaining starters from the national championship game in 2015 that brought Penn State its first title. Now the fifth-year senior will try to lift the Nittany Lions back into the top echelon of contenders. Although Ogle does most of her best work putting others in position to create highlights, she managed to score 14 goals on just 67 shots through her first three seasons (that efficiency admittedly aided from the penalty spot). Outside the ACC and Pac-12, you won't find a player more likely to dictate play in a game. So long the standard in the SEC, Florida has seen both Texas A&M and South Carolina reach the College Cup more recently. A deep and talented senior class will want to change that before it leaves Gainesville. The Gators will need this Canadian sophomore to do it. Rose flashed almost unlimited potential in scoring a team-high nine goals a season ago but was stymied over the final third of the schedule. 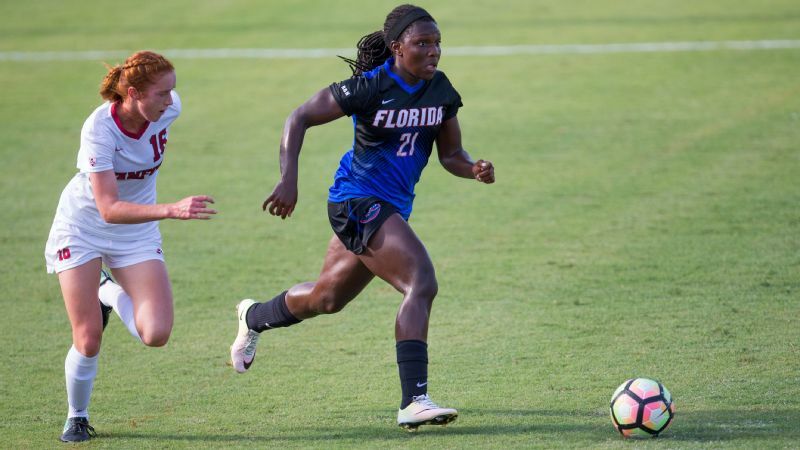 Keeping her fresh will be a challenge -- especially since she's likely to be called in by Canada for World Cup qualifying -- but she could have the Gators playing into December. To be coldly pragmatic, an exceptionally early exit from the U-20 World Cup by the United States is Stanford's gain. One of the all-time leading goal scorers for the U.S. at the U-20 level, Smith played well in that tournament but is heading back to school after the group stage. 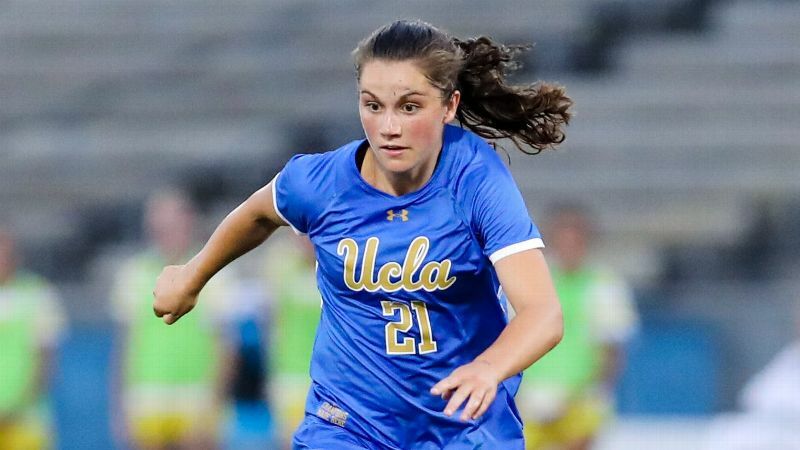 There are bound to be comparisons to Alex Morgan -- with speed, resilience and a Bay Area choice of colleges conjuring up the former Cal star. But with the talent to do things like this, the freshman shouldn't need long to start carving out her own fame. 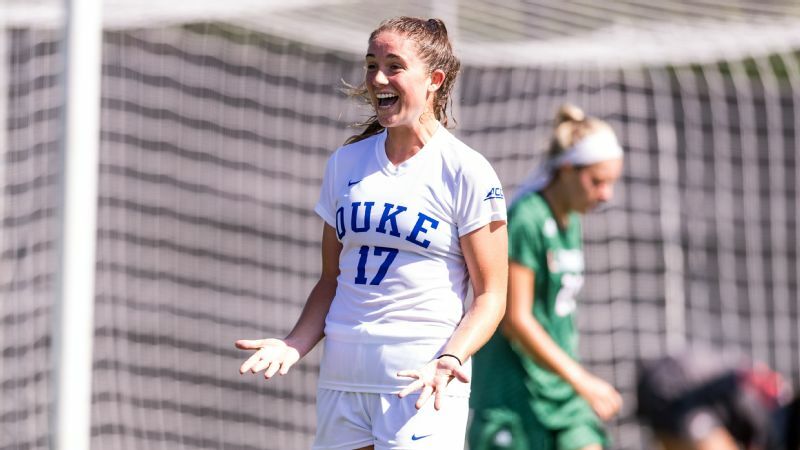 Has Duke become the kind of juggernaut that can lose the likes of Imani Dorsey, EJ Proctor, Rebecca Quinn and Morgan Reid from a College Cup team and seriously hope to move on without missing a beat? Well, yes, when you have players who can score goals like this. There is a lot to replace, but Stevens is proof the cupboard is far from bare in Durham. The junior led the Blue Devils with 11 assists a season ago; she led them in goals as a freshman.